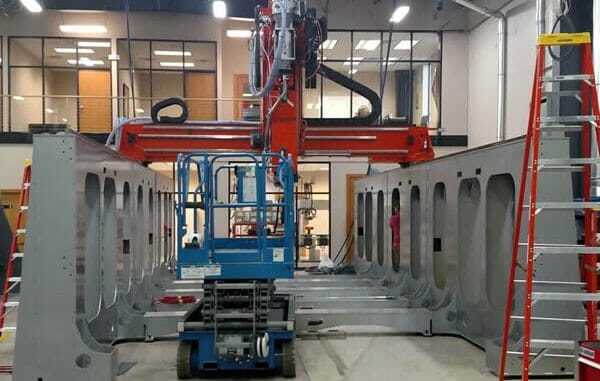 Large size CNC and additive system OEM Thermwood Corporation has unveiled a new design for the print head on its large scale additive manufacturing machines which it calls LSAM, (pronounced L-Sam). This new “Universal” design print head can be equipped with any of three interchangeable “Melt Cores”. 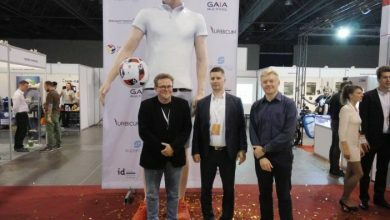 The print head is large by industry standards, being over 10 feet long and weighing one and a half tons, but despite the size and weight it moves at speeds up to five feet per second. The print head is designed so that the “Melt Core”, which consists of a feed housing, extruder and polymer melt pump, can be changed should higher or lower print rates be required. 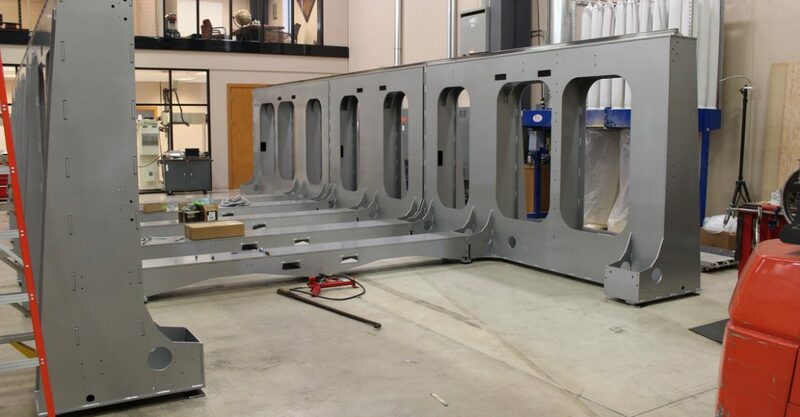 Thermwood has installed a universal print head on its current 10’ x 10’ LSAM development machine with a 40mm Melt Core and has successfully printed composite tooling masters from 20% Carbon Fiber filled ABS, and has printed actual autoclave tooling from both 50% Carbon fiber filled PPS and 20% Carbon Fiber filled Ultem using this print head. In Thermwood’s approach, the only heat source is the print head itself. A heated environment isn’t required. The process prints a large bead at such high output rates that the printed layer must be cooled rather than heated to achieve the proper layer to layer fusing temperature. The entire process is essentially an exercise in controlled cooling and produces large size, high quality, virtually void free printed structures. Each layer is printed at a rate that allows it to cool to the ideal temperature before the next layer is applied. If the layer becomes too hot, print speed is reduced to allow more cooling time. 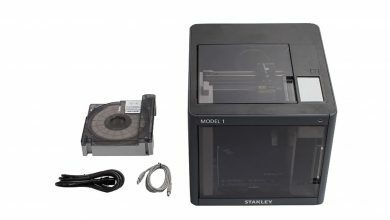 If it becomes too cool, print speed is increased to reduce cooling time. The LSAM machine is equipped with a standard 40mm Melt Core which includes a patented 40mm high speed extrusion screw coupled to a corresponding melt pump and deposition head. This standard configuration processes over 200 pounds of material an hour, depending on the specific material and is suitable for parts that have a print layer lap length of up to 200 feet while printing a standard bead that is .200 inch thick and .830 inch wide. This configuration has proven more than adequate for virtually all large parts today. If even longer layer bead lengths are required, higher output Melt Cores are available. 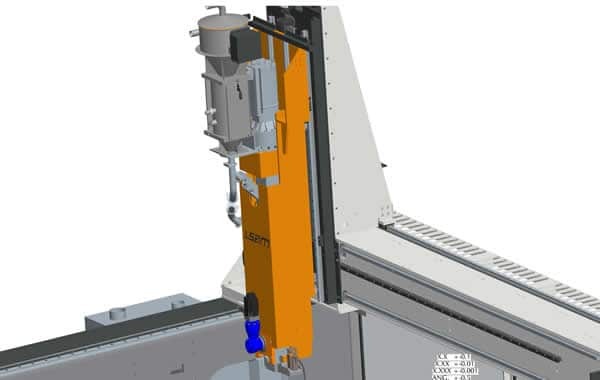 A 60mm Melt Core can process 50% more and a 70mm Melt Core has operated at rates of over 500 pounds per hour, which Thermwood expects to increase. 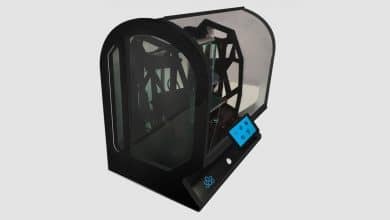 The fastest speed at which a part can be printed is determined by the cooling time required to reach the proper bonding temperature between layers and not by the output of the print head. 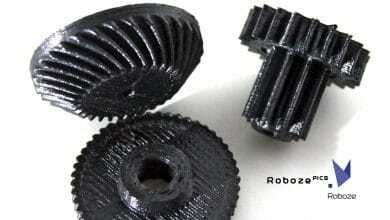 Larger print head outputs simply allow larger parts to be printed within the cooling time between layers.